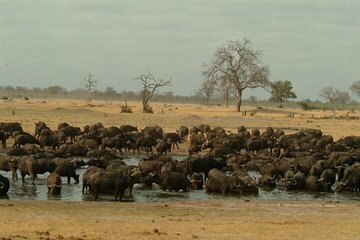 Hwange National Park's status as the largest game reserve in Zimbabwe — measuring roughly the size of Belgium — makes it difficult to know how best to explore the area on your own. 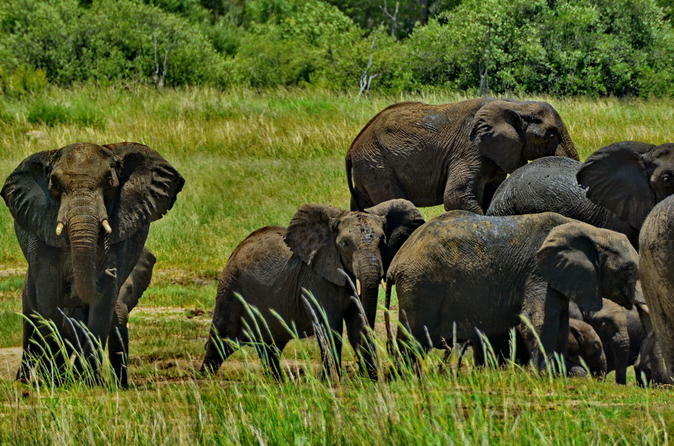 Instead, join a guided tour that takes you to the park's highlights through a series of wildlife safaris, with plenty of opportunities to view animals like elephant herds, lions, and hyenas in their natural habitat. thank you Emmanuel, our kind driver, on time, reliable with a great well air conditionned mini bus just for the two of us. The day in Hwange went with our guide Lawrence, just great, we even saw a lion crossing the road, the one and only lion in a one month trip!! lots of elephants, giraffs and antilops as well, thank you for a wonderful long day. I almost forgot the home made lunch in a shady pick nick area even with table cloth!! We were fortunate to be the only two in the vehicle for a 6 hour safari, it took a while to start seeing wild life but closer to the end we started to see some, mostly elephants and it was amazing see these large group of elephants in the wild they are so active.